Testimonials " All 3 of my children want to go this year!!" This is a wonderful camp and has helped my daughter to overcome fears and gain new skills. They are very good at matching friends in the cabins and my children have never had a bad time and always want to return. My older child looks forward to completing the Nor'Westers program as well. It is nice each year to build on the previous years experience and knowledge rather than start fresh each year. Being parents of two special needs children our Respite time is very limited and so when they are at the Y Camp we feel confident in their fun and our Respite time! My son says camp is Awesome. The group of counsellors at Camp Presqu'ile were very amazing at helping my son meet other kids. It was his first time every away and I really appreciated the attention that they gave him on his first day. Even when I called the camp after the first night “Andy” was great at checking in with the cabin counsellors and making sure that he was adjusting to camp. I am very impressed by the staff with their energy and dedication that they have in making his experience great. Our son is very excited to return back next summer. He even said it would be great to go for two weeks next time. It was a long week for us (parents), not having him around, but knew that it was an experience that would help him grow and expose him to different things. I feel great that I had chosen the right camp for our son. 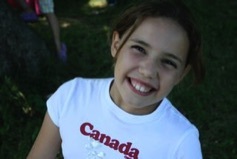 Camp Presquile will be forever a positive expirence for our son. My daughter had a great time and convinced a friend to join her this year. It was the first time away for camp for her friend and the Camp Presqu'ile staff did a great job in ensuring they will return next year as they left with great memories and new friends. I am especially impressed with the professional response by the Camp Director, Andy Barnard, who when faced with the challenge of a tornado warning quickly secured the campers in a safe location and communicated via e-mail to all parents. Thank you! 4. Will it be BENEFICAL to all concerned?